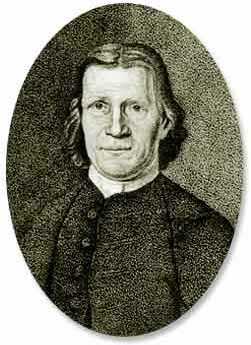 ZEISBERGER, DAVID, Moravian clergyman and author; b. 11 April 1721 in Zauchtenthal, Moravia (near Ostrava, Czechoslovakia), son of David Zeisberger and his wife Rosina (Anna); m. 4 June 1781 Susanna Lekron (Susan Lecron) in Lititz, Pa; d. 17 Nov. 1808 in Goshen (near Gnadenhutten, Ohio). In 1726 or 1727 the Zeisberger family moved to Herrnhut, Saxony (German Democratic Republic), where some fellow members of the Moravian Church had settled. When in 1736 his parents emigrated to a Moravian colony in Georgia, David Zeisberger remained behind in school, joining them two years later and moving with them to eastern Pennsylvania in 1740. Although it was decided by the elders of the church that he should return to Europe, early in 1743 Bishop David Nitschmann, noticing the young man’s sadness at departing, advised him to stay. Zeisberger spent the next two years learning the Delaware and Mohawk languages in preparation for missionary work; he would eventually become conversant in the Onondaga, Cayuga, Mahican, and Ojibwa tongues and another Delaware dialect. During the later 1740s he ministered to the Delawares at Shamokin (Sunbury, Pa) and on 27 Feb. 1750 was ordained. Towards the end of that year he visited Herrnhut, where he reported on the success of the missions. As a result of the high regard that Count von Zinzendorf, leader of the Moravian Church, had for him, Zeisberger was appointed “perpetual” missionary to the Indians at this time. For the next decade he carried on his ministry at various locations in the Thirteen Colonies, occasionally acting as an interpreter as well. Pacifism was part of the Moravian creed but extremely difficult for Indians to practise during the conflicts of the Seven Years’ War and Pontiac*’s uprising. Many converts drifted away from the missions or were killed. By the spring of 1765 peace had been restored in the west and Zeisberger led the surviving Moravian Indians, mostly Delawares and Mahicans, up the east branch of the Susquehanna to establish the settlement of Friedenshütten (near Wyalusing, Pa). For the next few years he worked mainly among various Indian bands in the northern Pennsylvania wilderness. 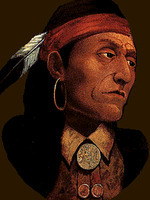 The pressure exerted by white settlers in the Susquehanna valley began to make life difficult for the Moravian Indians there, and an invitation from Netawatwees (King Newcomer), chief of the Unami Delawares, led to the removal of the Indians from Friedenshütten and a nearby colony to the Muskingum (Tuscarawas) valley. There, at Schœnbrunn (near Gnadenhutten, Ohio) in 1772, Zeisberger founded a new settlement, and several other communities subsequently were established. During the American revolution he attempted to have the Moravian Indians and their Delaware neighbours maintain a passive stance, but he and his converts came under the suspicion of all the belligerents and many lost their lives [see Glikhikan*]. 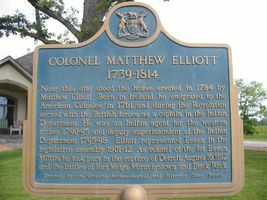 In 1781 the Schœnbrunn colony was forcibly removed by a large war party accompanied by British Indian agent Matthew Elliott, and over the next year or so the converts were dispersed along the shores of Lake Erie. Zeisberger was taken to Detroit, questioned by British commandant Arent Schuyler DePeyster*, and released. He gathered a number of his scattered converts and, with the commandant’s assistance, set up a temporary settlement north of Detroit at New Gnadenhütten (Mount Clemens, Mich.). 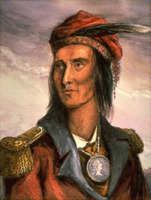 In 1786, prompted by news that the Americans had set aside land in the Muskingum valley for the Moravian Indians, he led the community back in that direction. Local Delawares, however, warned against settling on the reserved lands, and Zeisberger took the colonists closer to Lake Erie, where they founded New Salem (near Milan, Ohio). In 1788 the community contained 164 people, about one-third of the number who had lived in the Muskingum villages before the revolution, and war was still a threat. A confederacy of Indian tribes in the region south of the Great Lakes had been formed to block the advance of American settlement [see Michikinakoua], and the resulting clashes between Indians and whites led in 1791 to the evacuation of New Salem by its residents. Seeking refuge in British territory, they crossed the Detroit River and formed a temporary village near present-day Amherstburg, Ont. 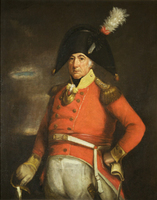 For Zeisberger it was essential that his converts live apart from the threats and temptations of white society, and early in 1792 he secured permission to found a settlement along the La Tranche (Thames) River. There, not far from modern Thamesville, they ceased their wanderings. Under his guidance the new colony of Schœnfeldt, or Fairfield as it was known in English, began to flourish. Thirty-eight lots were laid out for a village, and a meeting-house, schools, and barns were built. Corn, wheat, and vegetables were grown, cattle raised, bees kept, maple sugar produced, and salt and oil obtained from springs nearby. 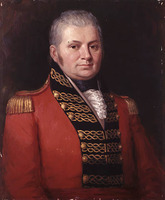 Lieutenant Governor Simcoe and his suite were entertained at Fairfield in February 1793, and although Simcoe reproved the missionaries for having too close ties with Moravian headquarters in Bethlehem, Pa, in July more than 50,000 acres were granted to the colony. By 1798, some 2,000 bushels of com were being sold annually to the North West Company and 5,000 pounds of maple sugar were being produced. Zeisberger’s life at Fairfield was not without difficulties, however. Whites who came to settle in the vicinity coveted the land and, he wrote, “if they could drive us away from here . . . would do so gladly.” Passing war parties urged converts to join in the fight to save Indian lands south of Lake Erie. Traders and neighbours, white, Indian, and black, tempted them with liquor. They found it hard, moreover, to give up ancestral beliefs and customs and were frequently perplexed by their adopted religion. 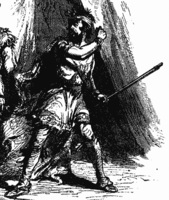 Often individuals had to be sent away from the community, the ultimate disciplinary measure. In many cases they returned and made further attempts to adapt to the required standards, but unconverted family and friends continued urging them to come back to the old ways. Zeisberger’s diary contains frequent references to “backslidings and transgressions” among “the brethren” and to the “dark heathenism” of their Ojibwa neighbours, who came begging for food but resisted conversion. 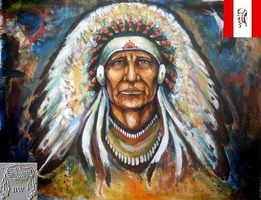 By the end of 1793 there were 159 Indians in the community; four years later the number had risen only to 172. A new colony, Goshen, was begun not far from the former settlements on the Muskingum, and there Zeisberger spent the final decade of his life, haunted by a sense of failure. In fact, although he had not made vast numbers of converts he left a valuable legacy. Over the years he had produced extensive writings on the Delaware and Onondaga languages, which remain basic to their study, and his personal and official journals are an important source for the history of the tribes among whom he spent more than 60 years of his life. Fairfield was razed by the Americans during the War of 1812 but was rebuilt across the Thames as New Fairfield, and the Moravian mission continued there until 1903. Descendants of Zeisberger’s converts still live on the remainder of the lands, now known as the Moravian Indian Reserve. [During his very active life Zeisberger managed to publish several works in the Delaware tongue. These include his translation of hymns from the German and English hymn-books of the Moravian Church, which appeared as A collection of hymns, for the use of the Christian Indians, of the missions of the United Brethren, in North America (Philadelphia, 1803); Essay of a Delaware-Indian and English spelling-book, for the use of the schools of the Christian Indians on Muskingum River (Philadelphia, 1776), a second edition of which, omitting the appendix, was published under the title Delaware Indian and English spelling book, for the schools of the mission of the United Brethren; with some short historical accounts from the Old and New Testaments (Philadelphia, 1806); and a collection of Sermons to children, issued with his translation of A. G. Spangenberg’s treatise, Something of bodily care for children (Philadelphia, 1803). Three of Zeisberger’s manuscript works were published after his death. A Delaware grammar now at Harvard (ms Am 767, 6) was edited and translated by Du Ponceau and appeared under the title Grammar of the language of the Lenni Lenape or Delaware Indians (Philadelphia, 1827). A dictionary of Indian languages, also at Harvard (ms Am 767, 1), was edited by Eben Norton Horsford and published under the title Zeisberger’s Indian dictionary, English, German, Iroquois: the Onondaga, and Algonquin: the Delaware (Cambridge, 1887). Zeisberger’s translation into Delaware of a life of Christ compiled by Samuel Lieberkühn was published in New York in 1821 under the title The history of Our Lord and Saviour Jesus Christ: comprehending all that the four evangelists have recorded concerning him; all their relations being brought together in one narration . . . in the very words of Scripture. Zeisberger’s personal copy of this manuscript can be found at Harvard (ms Am 767, 2). Two diaries kept by Zeisberger have also been published. His personal journals for the years 1781–98 have appeared as Diary of David Zeisberger, a Moravian missionary among the Indians of Ohio, ed. and trans. E. F. Bliss (2v., Cincinnati, Ohio, 1885). The official journals Zeisberger sent to the Moravian Church in Bethlehem can be found in “David Zeisberger’s official diary, Fairfield, 1791–1795 “trans. and ed. P. E. Mueller. Mueller’s translation, originally prepared as a phd thesis (Columbia Univ., New York, 1956), was printed with a few added introductory remarks in Moravian Hist. Soc., Trans. (Nazareth, Pa.), 19 (1963): 3–229. According to Mueller, Zeisberger “used his personal diary as a basis, sometimes copying verbatim, sometimes rewording the same content often omitting, frequently adding information” to the official journals. This volume supplements Bliss’s work, and the 33-page introduction supplements E. [A.] De Schweinitz’s biography, The life and times of David Zeisberger, the western pioneer and apostle of the Indians (Philadelphia, 1870). Daniel J. Brock, “ZEISBERGER, DAVID,” in Dictionary of Canadian Biography, vol. 5, University of Toronto/Université Laval, 2003–, accessed April 24, 2019, http://www.biographi.ca/en/bio/zeisberger_david_5E.html.